Find out where The Smiths legend will be touring his Low In High School album next year. 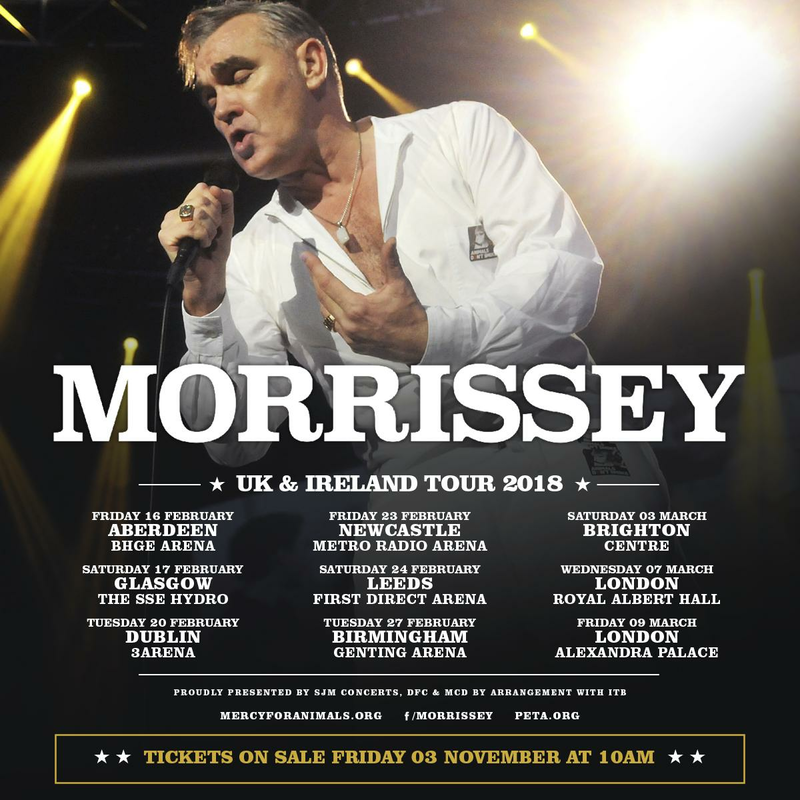 Morrissey will be embarking on tour dates across the UK and Ireland in 2018. The Smiths legend will take his forthcoming eleventh solo album across the length and breadth of our shores in a tour which will culminate in shows at London's Royal Albert Hall and London's Alexandra Palace. Tickets go on sale on Friday 3 November 2017 from 10am.